Singapore opened their campaign at the ICC World Twenty20 Asia Qualifier 'B' with an eight-wicket win over Myanmar in Malaysia on Thursday. 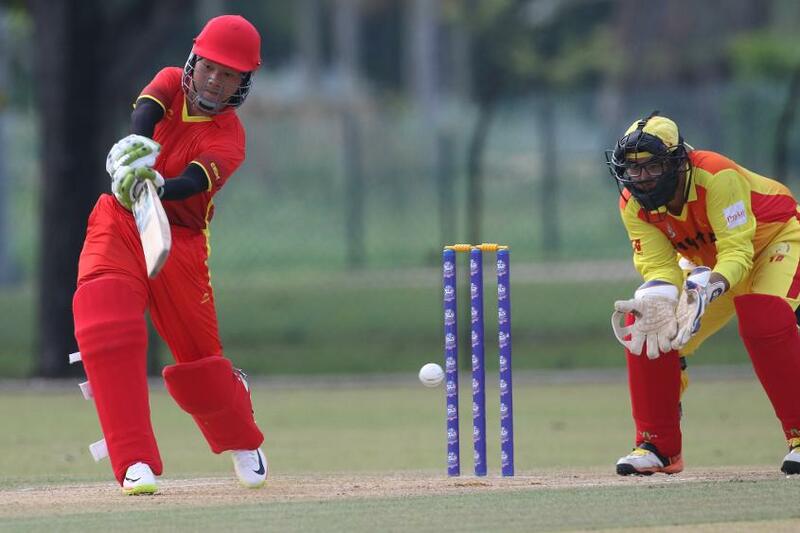 Bhutan defeated China by nine wickets at the Bayuemas Oval in Klang but the match between Malaysia and Thailand at the UKM Oval in Bangi was abandoned due to the weather after 18 overs. 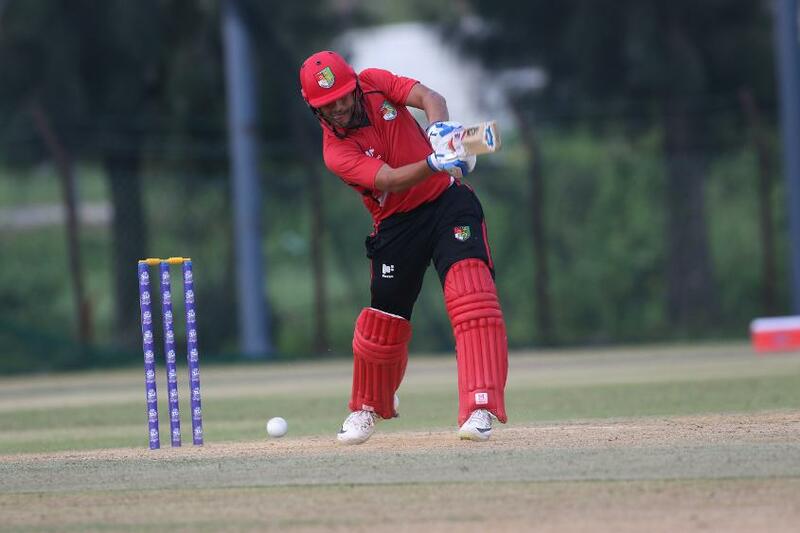 After sitting out Wednesday's opening matches in the seven-team tournament, Singapore took little time to dismiss Myanmar for 68 runs with a ball to spare before reaching 69/2 in 6.4 overs at Bayuemas. Captain Chetan Suryawanshi led the way with an unbeaten 31 off 16 balls which included six boundaries after Singapore lost Aritra Dutta (2) and Surendran Chandramohan (12) early to drop to 17/2. Earlier, Ye Naing Tun blasted two sixes and three fours in scoring 45 runs to anchor Myanmar's total of 68 even as no other teammate made it to double figures. Malaysia's bid to finish in the top three and qualify for the next stage has been complicated by having to share points with Thailand, which means net run-rate could now be a factor. The game's abandonment after heavy rain flooded the ground leaves Thailand top of the nascent standings with three points, the same as Malaysia but with a superior net run-rate. 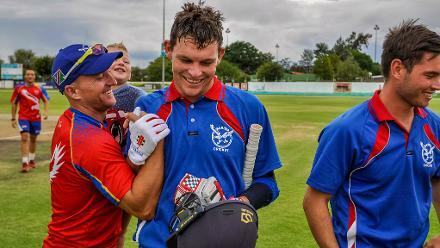 After losing Syed Aziz Syed Mubarak for 15, Malaysia's Shafiq Sharif (54), with the first half-century of the tournament, and Suhan Alagaratnam (21) regained momentum with a 67-run stand for the second wicket. 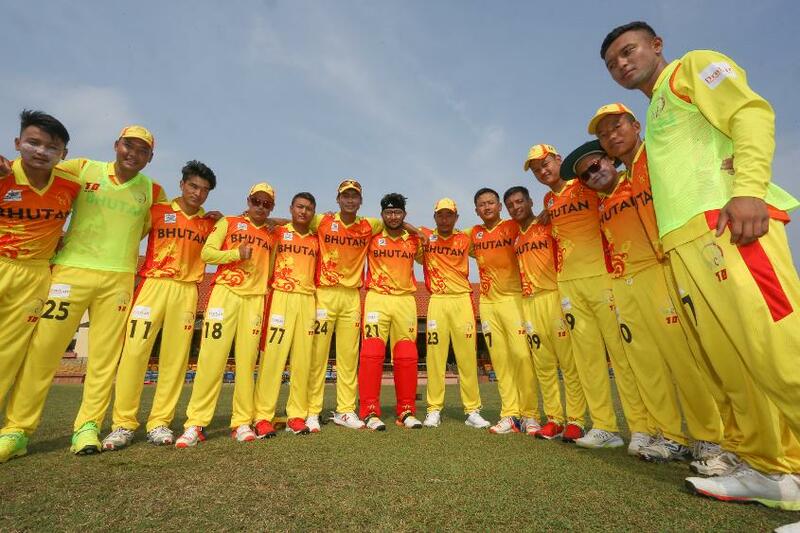 Thailand captain Vichanath Singh, however, ended the partnership with a direct hit to Suhan's wicket before claiming the scalps of Shafiq and Anwar Arudin to leave Malaysia rocking at 94/4. Malaysia advanced to 124 runs but lost three more wickets including that of captain Ahmad Faiz Mohammed Noor (16) before the deluge forced the game to be called off. 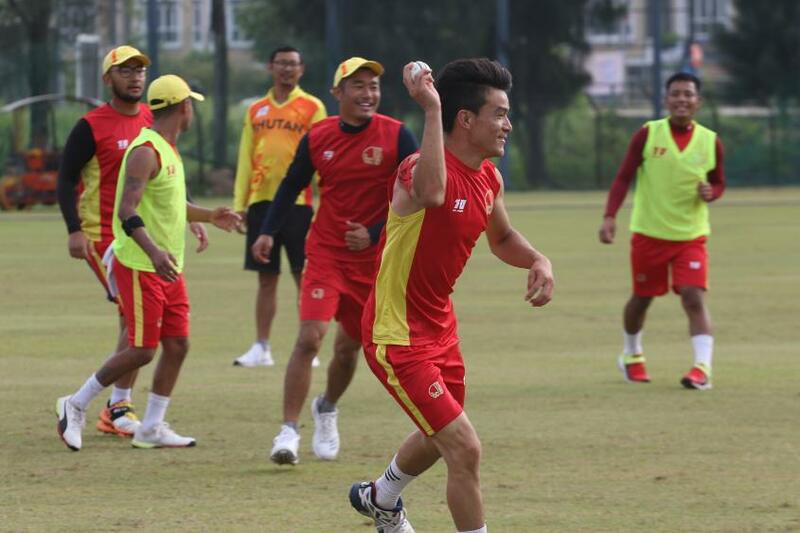 With matches against Nepal and Singapore to come this weekend, Malaysia have it all to do to ensure they stay in contention for one of the three qualifying spots. "We had planned to get full points from this match against Thailand but with the weather as it is, you never know what is going to happen," said Faiz of Malaysia's prospects. "We've got two big matches coming up and this complicates matters for us. We've got to sit down and figure out how we are going to approach the remaining matches to get positive results." Vichanath was happy with the way Thailand restricted Malaysia from scoring freely while hoping to have a chance to win under the DLS method. "They started well with the bat but we were positive and we were looking to restrict them to under 135 and chase under D/L. We showed we can fight and got them real close. 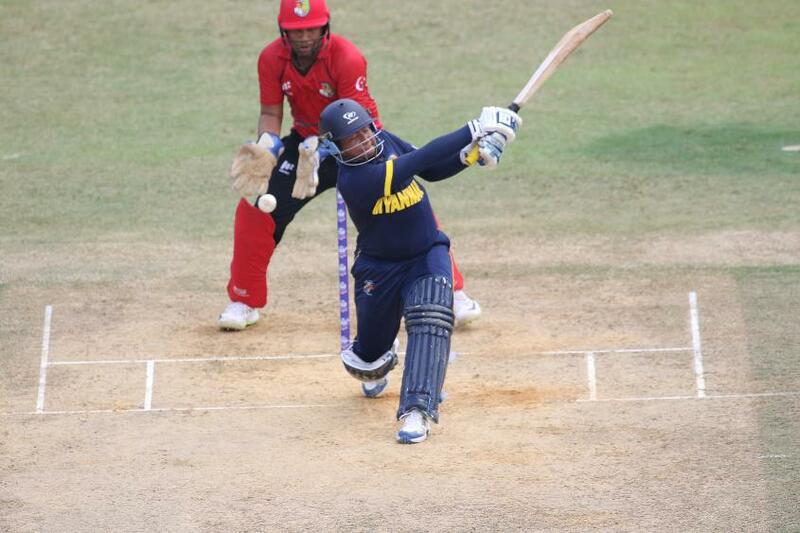 It must not have been a score they wanted," said Vichanath, whose side started with a win over China. "Sharing a point with Malaysia is not bad for us and with the two points from yesterday, we are still top. We are looking forward to the next game and build on what we have done until now." Bhutan earned their first win in two matches as they bowled China out for 45 runs in 12.5 overs before taking 3.5 overs to reach 47/1. No batsman from China scored more than five runs though the Bhutan bowlers will not be happy to have conceded 31 extras, including 21 wides. 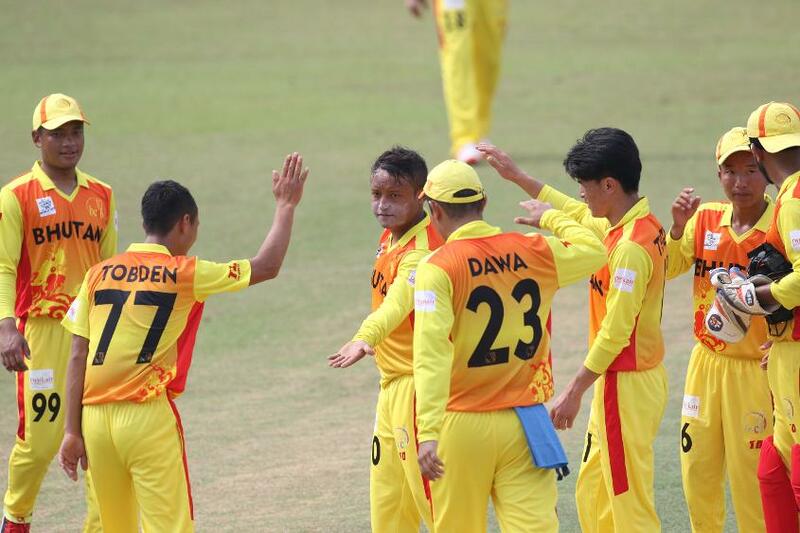 Thinley Jamtsho and Jigme Singye claimed three wickets each while Sanjeevan Raj Gurung had 2/14 a day after taking a hat-trick against Malaysia. Singye scored 30 runs, including five boundaries in Bhutan's chase to earn the Player of the Match honour. Friday is a rest day with action to resume on Saturday when Nepal face Malaysia, Singapore take on China and Thailand meet Bhutan.